Brian was adept at comedy roles as evidenced in his hit T.V. 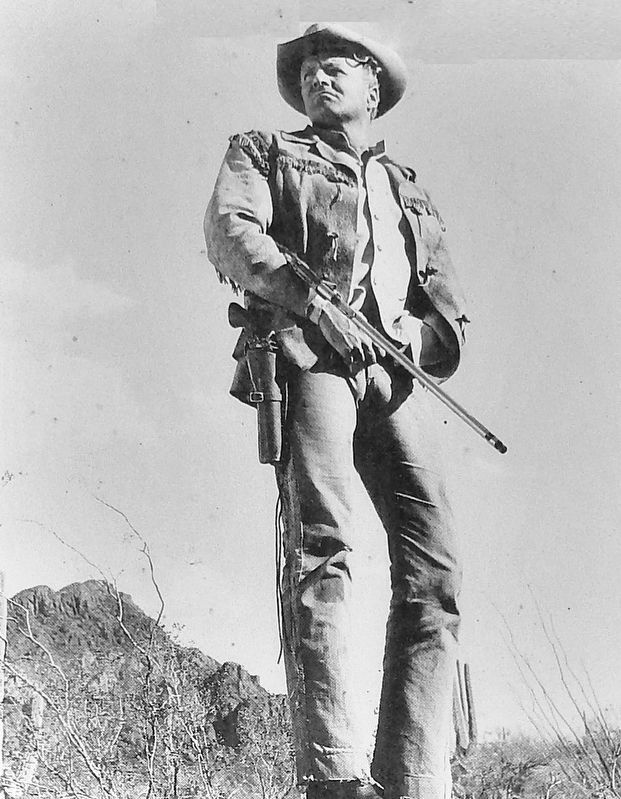 series "Family Affair" but he could also play rugged frontiersmen and evil villains as in "Fort Dobbs" made for Warner Brothers Studios in 1958, and "Ten Who Dared", in 1960, about the true exploration of the nearby Colorado River, for Walt Disney Productions. 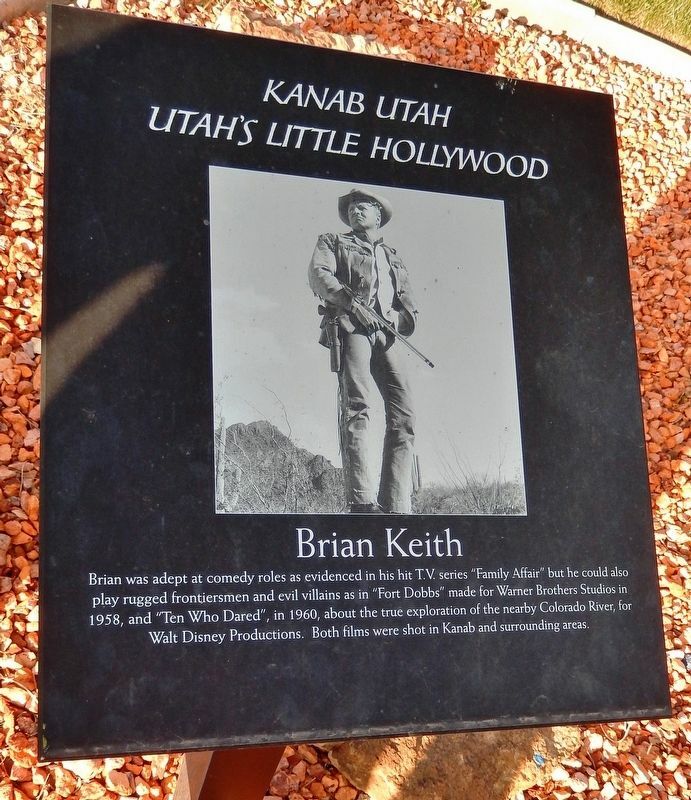 Both films were shot in Kanab and surrounding areas. Location. 37° 3′ N, 112° 32.09′ W. Marker is in Kanab, Utah, in Kane County. Marker is at the intersection of North 300 West (U.S. 89) and West 100 North, on the left when traveling south on North 300 West. Touch for map. Marker is located beside the sidewalk, at the northeast corner of the intersection. Marker is at or near this postal address: 296 West 100 North, Kanab UT 84741, United States of America. Touch for directions. (within shouting distance of this marker); Peter Brown (within shouting distance of this marker); Jacob Hamblin (within shouting distance of this marker); A Tragedy (within shouting distance of this marker); Fort Kanab (within shouting distance of this marker). Touch for a list and map of all markers in Kanab. More. Search the internet for Brian Keith. Credits. This page was last revised on March 8, 2019. This page originally submitted on March 7, 2019, by Cosmos Mariner of Cape Canaveral, Florida. This page has been viewed 120 times since then. Photos: 1, 2, 3. submitted on March 7, 2019, by Cosmos Mariner of Cape Canaveral, Florida. • Bill Pfingsten was the editor who published this page.